“Before I started working with David I had been treated by several osteopaths. The session times they offered no longer suited my schedule as a fitness instructor. There was no point in having treatment and then undoing the treatment by not resting, so I needed to change. I had no reservations about being treated by David. He was recommended to me and I had already got to know him a little as I taught classes at the gym where he is based. From the outset I was impressed by David’s curiosity. He likes to work back as to why a problem has developed and go back to the root cause. Clients of mine that I have referred to him have also commented on this. David is very professional and caring. He certainly is a very talented osteopath and I like his style of working. I am happy to refer my clients to him and we have developed a good working relationship as he refers to me too. David is the best in the business. Before I met him I went between different Osteopaths not truly convinced or satisfied the practice (of Osteopathy) really worked. Recommended by an old personal trainer, he's been my go-to guy for the last five years for sports injuries. His understanding of muscle mechanics and identifying root cause injury is very impressive, often made apparent by talking you through what the problem is and what he's doing to fix it. Very professional, very efficient, I couldn't recommend him higher. I have been using David for a few years now and I must say he is the best Osteopath I have ever come across. Always able to diagnose an issue and correct it immediately. He's a safe pair of hands. David Such is first class. Personally I had been off work, as a fitness instructor, for about 6 weeks being treated for an injury by a physio with no improvement, after just 3 half hour treatments with David my injury was completely fixed. I had actually been told that I may have to give up teaching fitness classes due to this injury, so you can imagine how pleased I was that David solved my issues so quickly. David's knowledge is incredible, he always makes you feel at ease with his friendly and professional attitude. I would recommend him without hesitation. David is very friendly and knowledgeable professional who makes you feel at ease. He always explains everything he is doing during the appointment and will give u "homework" exercises to improve your recovery. 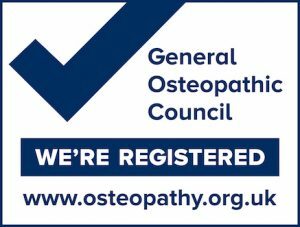 I would highly recommend David such osteopathy to anyone.